I know you're probably saying to yourself, "this guy is a month too early." Actually the New Year that I am referring is the New Year of the Catholic Church liturgical calendar. 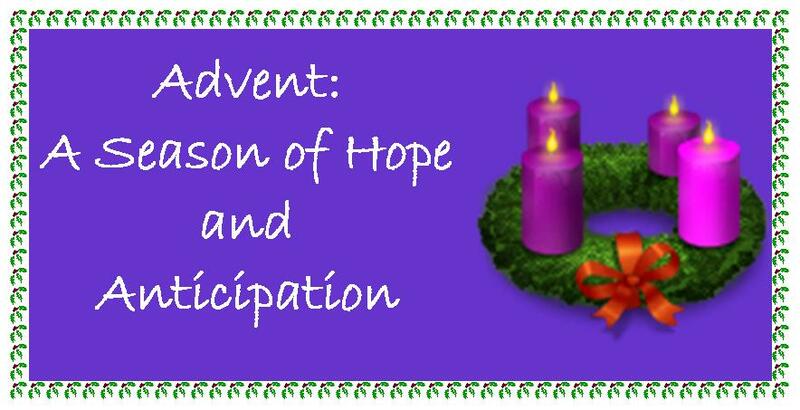 November 27, 2011 ushered in a new year for the Church and the beginning of the Advent season; a period of four weeks leading up to that historical day as we prepare for the coming of our Lord Jesus Christ. Those of us who attended Mass this past weekend would have had to pay close attention to the words of the text of the Mass by following along in the missals. Thankfully our Priest was gracious enough to prompt us on which page to turn to when a change in wording was coming up. As the altar server who held the Sacramentary for our Priest, Fr. Anselm, I was not able to participate in the words as I was still not familiar with the new text. It will take time to memorize the changes to heart, but it will definitely be worth it in the end. I think the most difficult change believe it or not will be the reply to the words "The Lord Be With You." We have been accustomed to replying "And Also With You", but now we must get in the habit of replying "And With Your Spirit." I know there were many who still said "And Also With You" this past weekend. I'll be first to admit it. I can say that I did not have to exercise that day either, as I had my physical fitness test by having to hold the book for longer than normal. I surely felt the burn in my back and shoulders. The book is bigger than the previous, but as the saying goes "no pain no gain". I was happy to oblige my Priest. My fellow acolytes, get plenty of rest and do some push-ups before Mass to keep yourself in shape for this period where holding the book will be a bit longer than normal. Well okay, you can skip the exercises, but be prepared. It's all for a good cause though, as our Priests will also require time to memorize the new texts to the Mass. The smaller guys will find it more difficult to take on this task unfortunately. So what did you learn and take away from the Mass this past weekend, besides having to concentrate on what came next in the Mass and whether a part of it has changed or not. For me I was happy to know that we will follow the old traditions of striking our breast when we say the confiteor. I find this to be true humility in accepting our faults of sins in our lives and the need for repentance. Of course I could not strike my breast, but I felt the energy and pain from those who did. As we begin the Advent season, a season and period of waiting for our Lord and Savior we should not get caught up in the commercial glitz and glamour of the false meaning of this period, but rather we should be mindful of Christ who "will" come again. This second coming will be like a thief in the night. St. Mark in the Gospel reading explains it like this: "You do not know when the time will come. It is like a man traveling abroad. He leaves home and places his servants in charge, each with his own work, and orders the gatekeeper to be on the watch. Watch, therefore; you do not know when the Lord of the house is coming, whether in the evening, or at midnight, or at cockcrow, or in the morning. May he not come suddenly and find you sleeping." Recognizing that we are sinful creatures, we seek to turn to Christ; to see His face that we shall be saved. We are guilty of our sins, each and everyone of us; no matter how many good deeds we think we have done and accomplished, we cannot be so presumptuous to think that we are set and in favour with Christ. Yet, there is hope as we hear the words of the Prophet Isaiah, "Yet, O LORD, you are our father; we are the clay and you the potter: we are all the work of your hands." We have been given a special gift in the Church that Christ calls upon us to perform; "the sacrament of reconciliation". By sincerely expressing our faults and repentance for our sins we acknowledge our frailty and need for communion with Christ. This Advent season take time to examine your conscience and take those sins and place them at the foot of the cross that we are ready and waiting for that day when our Lord returns. "Be watchful! Be alert! 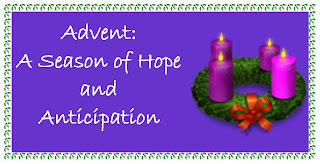 Welcome to Advent my brothers and sisters in Christ.